The IAC® contends knowing that masterful coaching has the ability to change the world in positive, powerful and remarkable ways. The work we do, whether on a business or personal level, with individual clients or teams, globally or locally, and virtually or in person, empowers all of us with new perspectives, personal insights, expanded possibilities and the courage to take on new challenges. Coaching is a catalyst for positive, significant and tangible change on many levels. That’s why the IAC® is on a mission to Expand the Path to Coaching MasteryTM. 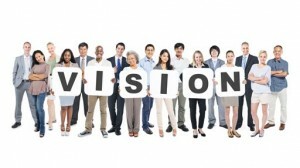 As more and more people master coaching skills – whether to become a coach or to implement the coaching skills at work and in their personal relationships – people from all backgrounds and cultures have the ability to reach their goals, make the impact they want, and leave a legacy they can be proud of. so their mastery of coaching is valued and contributes to evolving human potential worldwide. Step up to its unique position as a premier global standard for coaching mastery in action, focusing on both experienced and newer coaches. Be an inspirational magnet for businesses, governments, organizations, clients, and coaches who want to learn about coaching mastery in practice. Champion the profession of coaching in the corporate and business worlds. Commitment to a professional code of ethics. Certification for experienced coaches who would like to be recognized for their mastery, regardless of the path(s) they followed to achieve it; support toward mastery and certification for newer coaches. Masteries Professional Development Plans (previously referred to as Learning Agreements) to help certified coaches stay fresh and accountable, pathways to support newer coaches, and opportunities to lead and contribute to the development of coaching excellence worldwide. Advocacy for an international collective of coaches, spreading coaching around the world. Collaboration with other coaching bodies and professions to clarify standards in the marketplace and to become part of the solution for clients, schools and researchers. 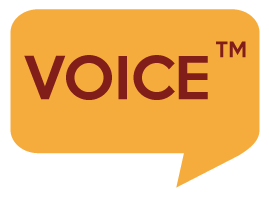 Connection through growth of peer networks, exchange coaching, online communities and resources, and linking clients with coaches. Building the IAC®’s organizational capacity in a way that supports this vision, is in line with our values, and serves the coaching community in a professional, sustainable manner. their demonstrated willingness to continue their learning and growth in coaching mastery through the annual submission of personalized Masteries Professional Development Plan. These agreements are reviewed regularly to make sure that all IAC® Master Masteries Coaches and the Certified Masteries Coaches are continuing to embody and to evolve as the highest expression of professional coaching. 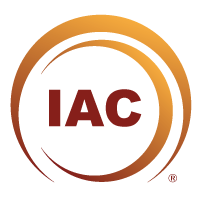 In addition to the MMC and the CMC designations, and to support those seeking that designation, the IAC® also offers a Masteries Practitioner designation for those coaches who have passed the online exam and have submitted an approved personalized Masteries Professional Development Plan. Like the MMC and CMC designations, the Masteries Practitioner designation is contingent upon the annual filing and review of the Masteries Professional Development Plan.